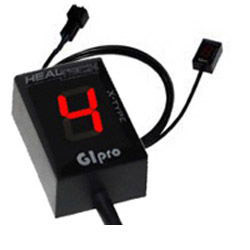 The gear indicator is fast to respond and easy to read even in the Texas sun ... I regard this as one of my best mods ever." "The device installation and instructions are simple and to the point." "It's fast to display the gear when the clutch is released without hesitation ...I rode it most of today and you do get used to it very quickly." The GiPro-DS & DT types read the gear position information directly from the ECU via the manufacturer's diagnostic port (where fitted), which makes them faster and more reliable than other gear indicators. There are no buttons, no programming wires. The unit is fully automatic. In most cases there's no need to cut and splice wires, no need to access several connectors and only ONE plug to connect - it couldn't be simpler! 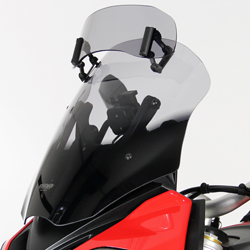 For all Ducatis without electrically driven speedos as standard (but which do have an electrically/electronically driven Tacho/Rev-counter) the GiPro Wheel Speed Sensor (WSS-Type) comes with a magnetic pickup convertor included to provide the electrical pulse required to activate your gear indicator. 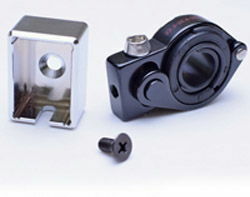 Please note the WSS units are universal and not model specific, but installation has been made as simple as possible. !quote, electronics, corse, stripe, streetfighter, street, fighter, 821, hyper, strada, hypastrada, 2007, 2008, 2009, 2010, 2011, 2012, 2013, 2014, 2015, 2016, 2017, 2018, 2019, 2020, 07, 08, 09, 10, 11, 12, 13, 14, 15, 16, 17, 18, 19, 20!